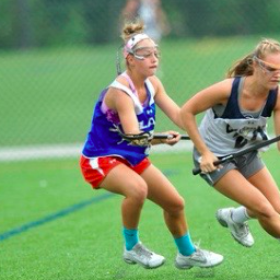 Congratulations to Blast 2018 Blue and Academy of Notre Dame de Namur defender, Abby McNamee, on her verbal commitment to play Division I lacrosse at Duquesne! Duquesne University is a private Catholic University located in Pittsburgh, Pennsylvania. The Dukes compete in the Atlantic 10 conference within Division I. Abby is the second Philly Blast player to commit to play at Duquesne and the fifth Blast player to commit to play in the A10. Off the field and in the classroom, Abby is on the Distinguished Honor Roll, is a Scholar Athlete Award recipient and participants in countless hours of community service through the Academy of Notre Dame. She is also very involved musicals at her high school and in the area. Read Abby’s full commitment story HERE.